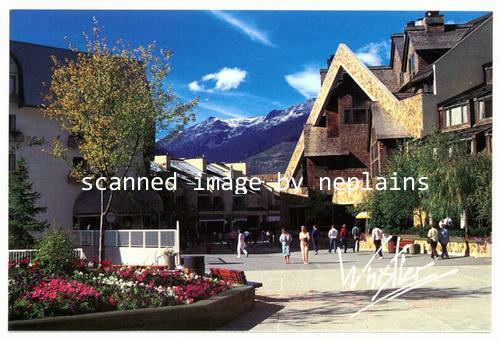 Chrome postcard, continental size. 03/4M. Printed in Canada by Acadia Printing Ltd. Photography and Production by Rick Flebbe. Not postally canceled. Handwritten address and message. Snow Apple 50c stamp affixed.